There are no comments for Legends Live On. Click here to post the first comment. I've always been fascinated by the story of Thunderbolt,' the gentleman bushranger'. Of all Australian bushrangers,he had the longest run. 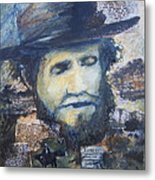 History records he was shot near Uralla in May, 1870. 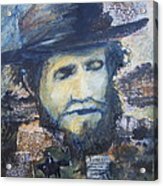 Seen as an outlaw hero, there are some that have a different version of the events, believing it was another who was shot that day and now lies buried in Thunderbolt's grave. The legend lives on. 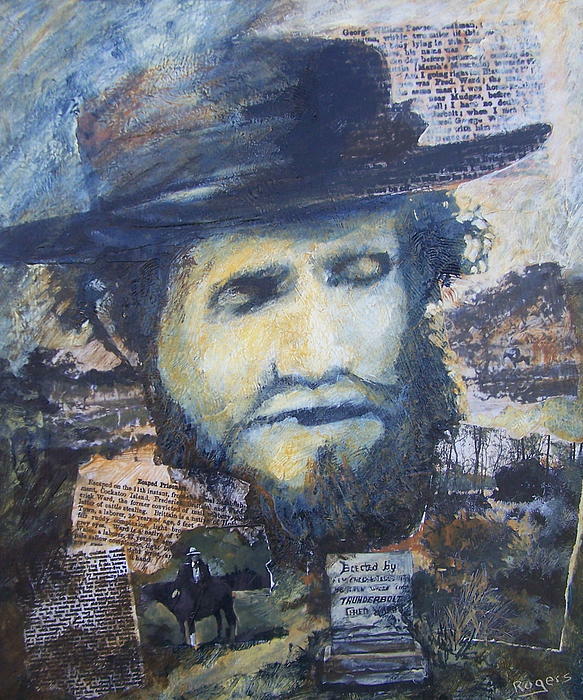 This painting, a portrait, based on historical photographs of the man shot at Uralla also contains collaged elements of statements given by witnesses that established his identity as that of Fred Ward, also known as Thunderbolt. Born in Kyogle, New South Wales in 1954.